As someone who wants to turn Santa Monica Airport into a big park, I have been following the lawsuit that the City of Santa Monica filed against the Federal Aviation Administration (FAA) to confirm that the City controls the airport land and will have the right to close the airport after July 1, 2015, when the current, 1984 settlement agreement with the FAA expires. While the federal government moved to dismiss on various grounds, the most fundamental one was that the City’s claim was barred by the 12-year statute of limitations of the federal “Quiet Title Act.” According to the feds, the City’s claim is too late because the City should have known decades ago that the federal government was claiming an interest in the title to the property under the 1948 Instrument of Transfer (IOT) that returned control of the airport to the City after World War II. As readers will recall, the FAA is relying on a clause in the IOT in which the City agreed to operate the airport in perpetuity. However, there was no consideration for this agreement, nor is there any way for the government to enforce it. The City’s response to the motion doesn’t add much new information that was not contained in the its original complaint, but reading it brought home how preposterous it is that after all these decades the FAA is arguing that Santa Monica can’t close the airport because of the IOT. 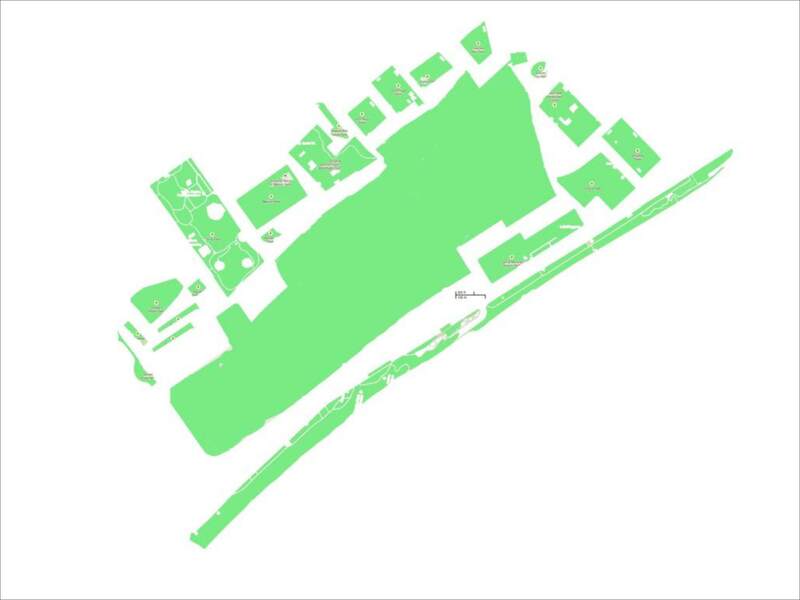 This graphic shows the sizes of all existing Santa Monica parks at the same scale as what could be the park to replace the airport. In fact, it was only in 2008 that the FAA, which I suspect had begun to panic when it realized that 2015 was coming up in less than 10 years, dredged up the IOT’s perpetuity clause. Before then FAA administrators and lawyers must have looked at the history and the law and realized that this argument didn’t have a wing or a prayer. “A local land use matter.” Wow. The City’s point is that only in 2008 when the FAA changed its tune was the City put on notice that the FAA had designs on the land, and that the 12-year statute of limitations only started running then. Not only does this argument seem obvious to me, but also, regardless how the judge rules on the motion, one has to wonder, when and where this dispute ultimately ends up in court, how will the U.S. Attorneys defending the FAA try to explain away the FAA’s own admissions that on July 1, 2015, the City of Santa Monica can close down Santa Monica Airport. This entry was posted in Uncategorized and tagged Santa Monica Airport, Santa Monica Airport park by Frank Gruber. Bookmark the permalink. Thank you for your informative write up. If a ruling supports the Citys clear title of the airport property and even right to close the airport in 2015 can the Feds implement proceedings to take the property from the City via eminent domain? Has Santa Monica ever considered an eminent domain proceeding to regain the property? Fred — the city owns the property, and so eminent domain wouldn’t be appropriate, unless you’re thinking of using condemnation to acquire any rights the feds turn out to have. But I don’t believe a local gov’t can use eminent domain against the feds. At least I’ve never heard of it.